The CXOU offers ultra-low current consumption from 1.75 to 3.9µA depending on frequency output with start-up voltages from 0.9 to 5.0V. Standard calibration tolerances are ±20, ±50 and ±100ppm with tighter bands available to special order if required. Typical start-up time is 200ms with rise/fall times of 30ns while ageing is ±2ppm for first year. 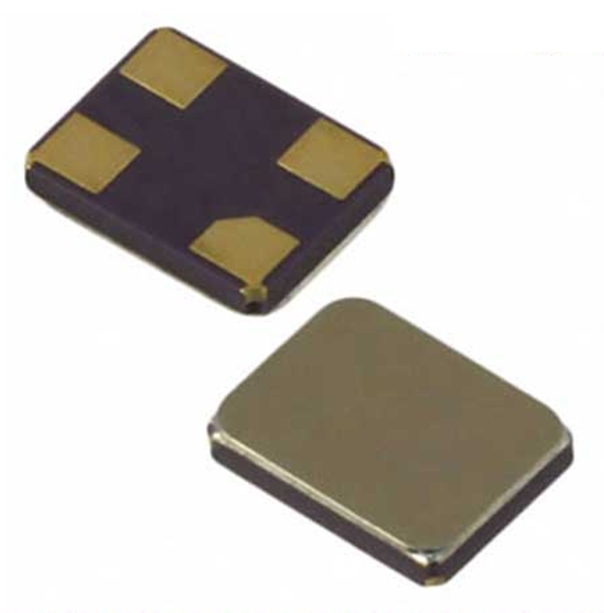 Standard CMOS output load is 10pF with other loads available to special order. 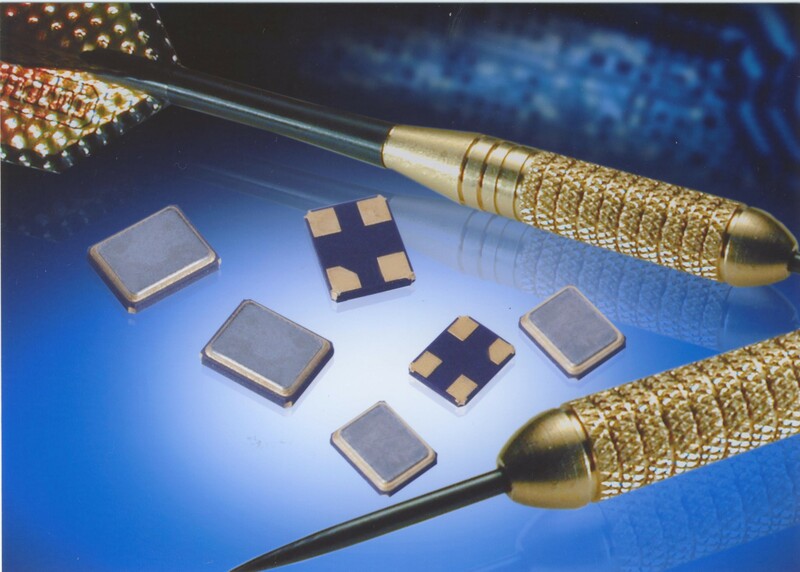 The new crystal oscillators are also capable of withstanding peak shock up to 5,000g (0.3ms ½ sine). The Euroquartz QuikXO HC_JF range of high performance clock oscillators provides 4 frequencies switchable from one oscillator. There is a choie of outputs, LVCMOS, HCSL, CML, LVPECL or LVDS. Frequency range is 15MHz to 2100MHz. 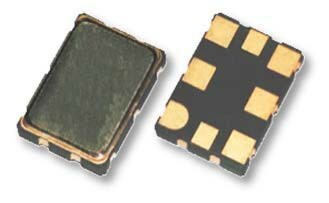 The part is supplied in a standard 7 x 5mm SMD package with 8 pads. 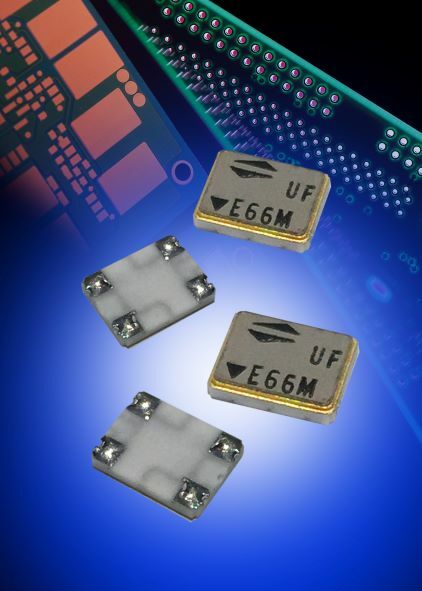 Euroquartz have produced a new range of high frequency/Ultra-low jitter oscillators. There are two main model numbers in the range, EQJF and EQVJF. EQJF are clock oscillators while EQVJF models are of similar specification and are voltage controlled. 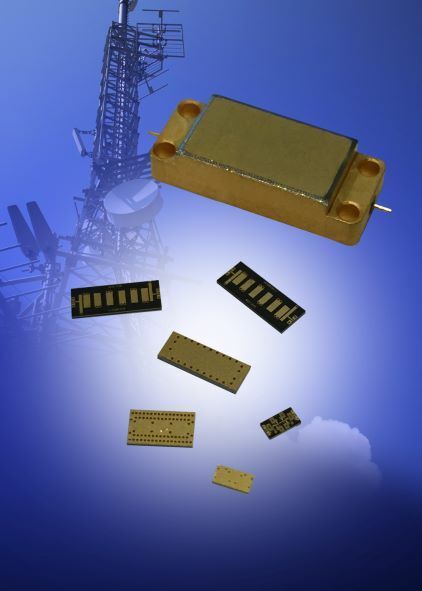 The parts have outputs LVPECL, LVDS, CML Differential and HCSL with a frequency range of 50MHz to 2.1GHz.